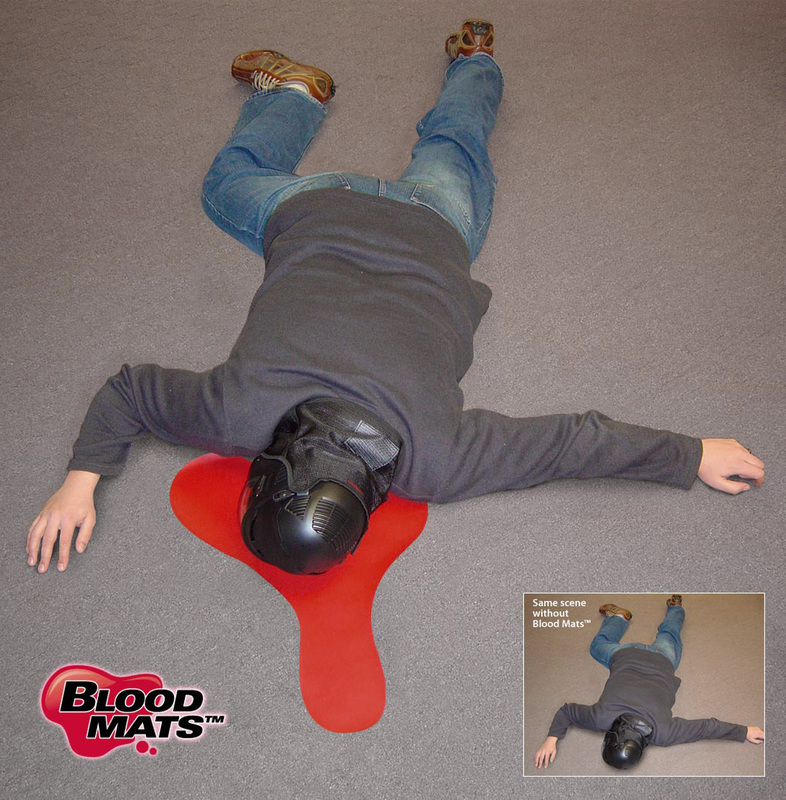 Creating casualties in training can be done quick and easy with the use of "Blood Mats". 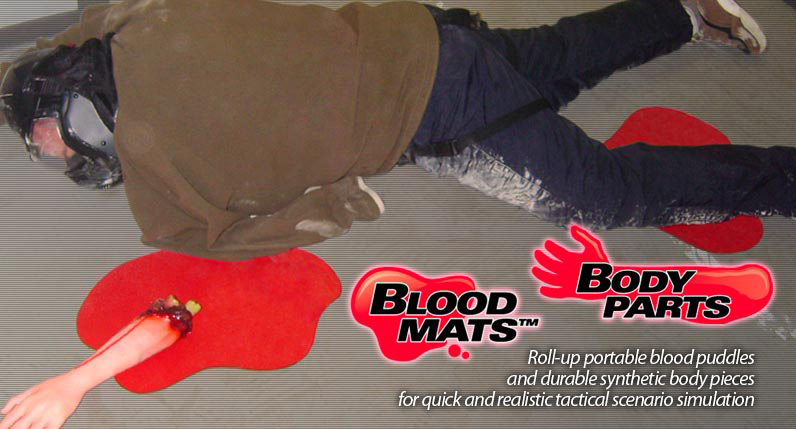 Blood Mats allow students to quickly distinquish role players being used as victims during dynamic scenario training. An excellent addition to "Active Shooter" scenarios that may require several causalties. 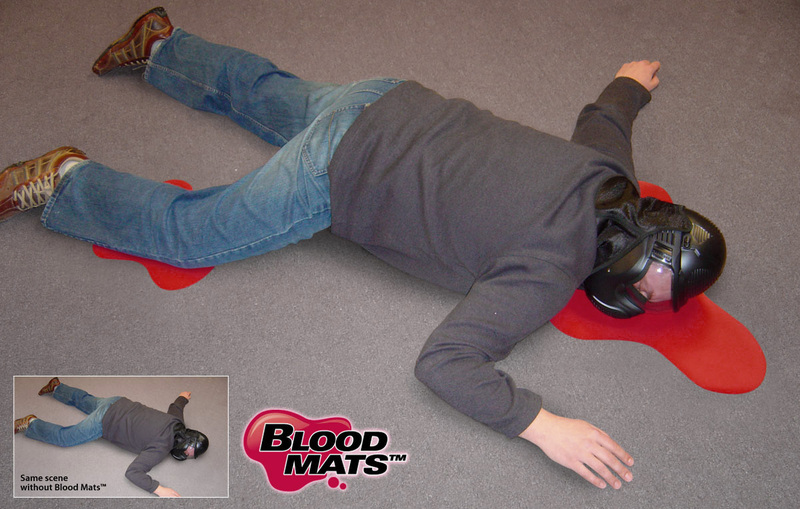 Blood Mats™ are designed to be a cheap, quick method of identifying victims during scenarios. 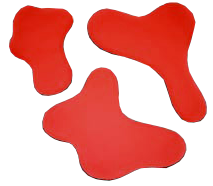 They are made of vinyl to allow for roll up and quick cleaning. 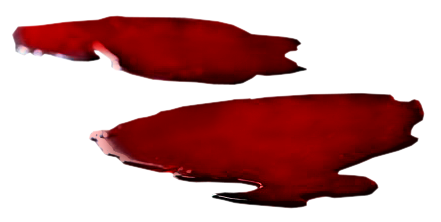 The patterns can be turned to give different blood signatures. 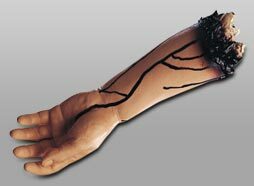 Place them under the head to simulate a possible homicide or under the legs, arms or torso to simulate an injured victim. 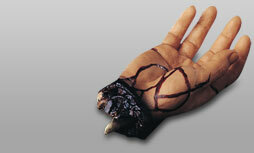 Use them in conjunction with fake body parts to add more realism. They can be used over and over. Easily cleaned with a wipe of a wet cloth. The possibilities are endless! 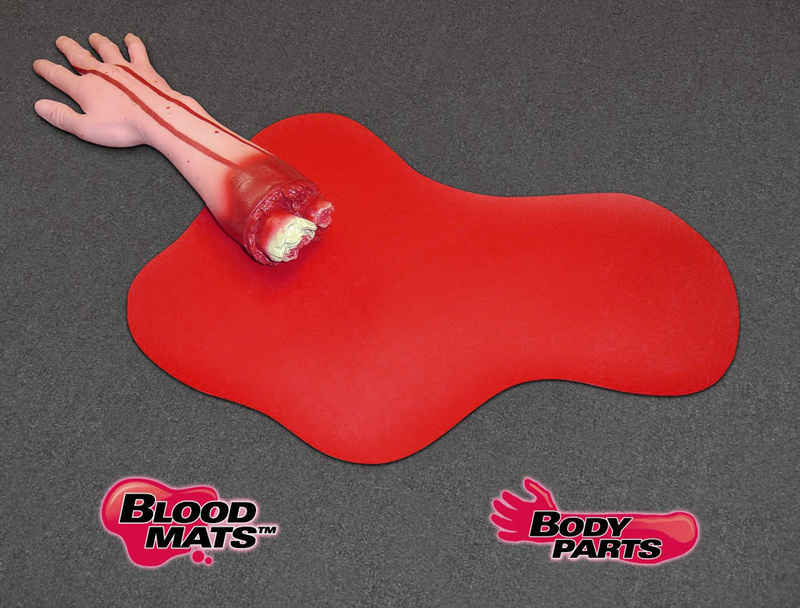 Blood Mats are sold in sets of three with a small, medium and large pattern. 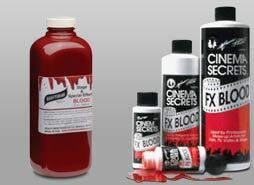 Flexible resin blood pools look realistic and wet and have great natural edge detail. 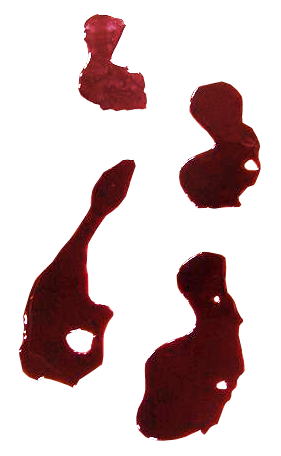 Resin blood pools in footprint shapes. 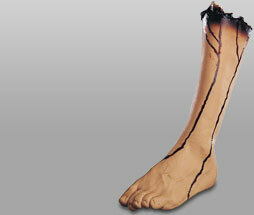 Set of 8 lifesize footprints. 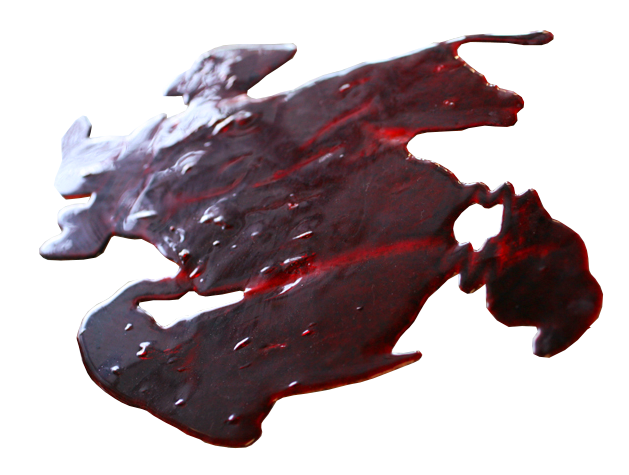 Resin blood pool in a unique shape - as though a body has been dragged through it. 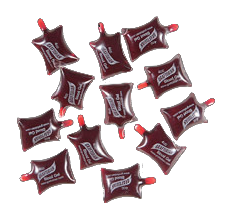 4cc Blood squirts. Product dimensions: 1"x1"x1".